Today’s hectic world is so full of distractions that it can often be overwhelming and draining. My Pocket Meditations offers you a portable pause button to temporarily turn off the noise and focus on what you truly need in the moment. You’ll learn the basic concepts of meditation and how to meditate, including various methods of meditating and how to use objects in meditation. Then you can choose from 125 meditations on more than a dozen topics including peace, love, friendship, hope, prosperity, and willpower. These quick yet powerful exercises allow for increased mindfulness and awareness. 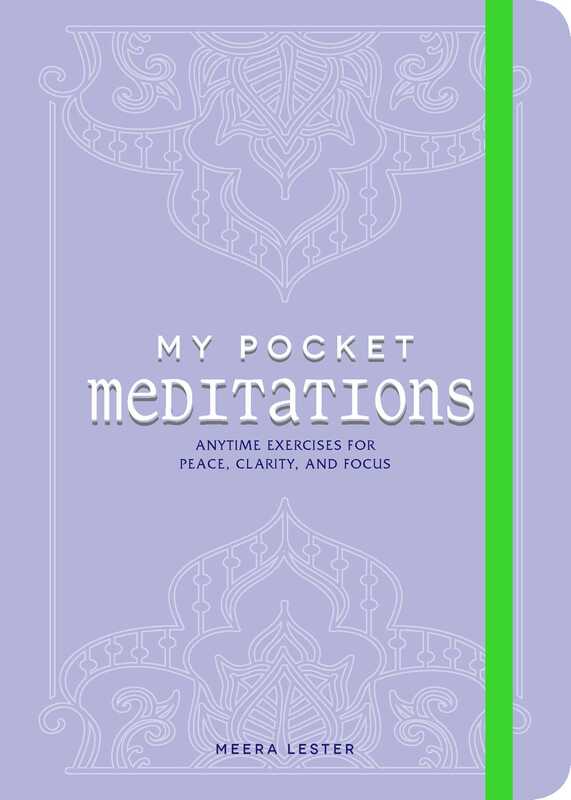 My Pocket Meditations helps you to ignore the distractions for a few minutes and take on the day with a calm, clear mind and fresh purpose. "You don't have to be propped up on a yoga mat in a dimly lit studio to find your inner zen. Find a quiet spot at the office, or plug in a pair of earphones to drown out the sounds around you and open up to one of Meera Lester's miniature practices. Whether you're searching for peace, willpower, forgiveness, or gratitude, there's always a quick method to get you in the right headspace."